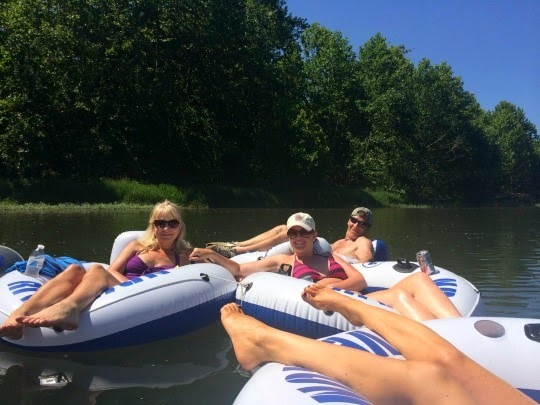 My hubby and I went tubing a couple weekends ago with some friends and we had so much fun! And my friends love me for it - ha! 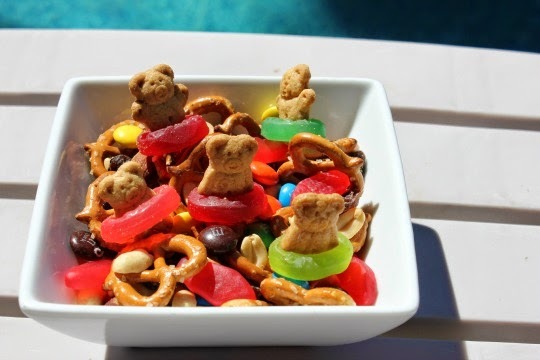 This would also be a cute snack for a pool party too. 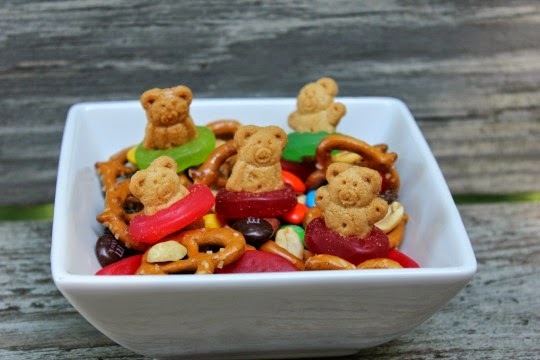 The kids would eat it up! 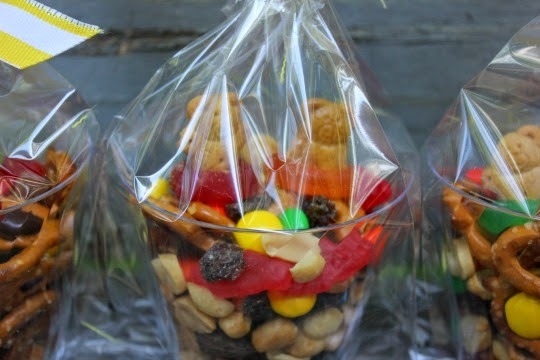 I made individual servings to take with us on the river. 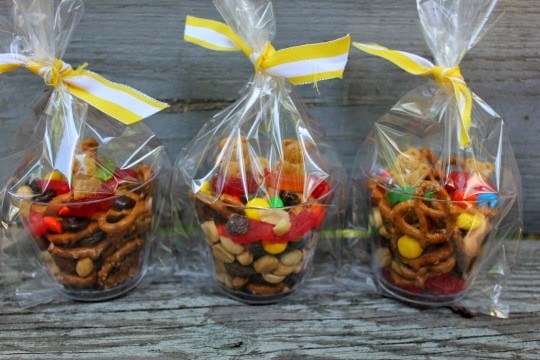 They would be cute party favors for a pool party too. goldfish crackers would be good too!